 Industrial Clutch Parts Ltd. manufacture and supply a wide range of Hydraulic Applied Caliper Brakes. Available and stocked in the UK for quick delivery times, ICP pride themselves on a reliable and efficient service. ICP HAB-4-90 RS is a hydraulic applied caliper brake with retracting springs, suitable for a range of industrial dynamic or static applications. Primarily used by Wind Turbine manufacturers. Industrial Clutch Parts Ltd. manufacture Hydraulic Applied Caliper Brakes for use in a diverse range of industrial applications, specifically wind turbines. ICP have engineered an extensive range of lightweight, noise-free braking systems used by the majority of leading wind power plant manufacturers. ICP HAB-4-90 RS is a hydraulically applied and spring released brake. Manufactured to generate a braking force up to 162560 N, to safely stop and hold a brake disk in place. The robust, and high performance design controls brake disc rotations and is able to bring applications to stop, or keep it at standstill. The retracting spring operation is used to pull the pad away from the disc back into the brake housing. Compact in design with two stainless steel pistons in each opposed caliper with pad release springs, the HAB-4-90 RS provides quick response and braking times, whilst reducing brake noise operations. The HAB-4-90 RS Brake works tirelessly against testing conditions to sustain efficiency levels, ensure reliability and resolve any concerns or issues that may occur to reduce machine downtime. ICP have manufactured their hydraulic brakes to offer minimal maintenance and a long service life.